If you'd like to book a romantic getaway or business stay, or plan an unforgettable wedding or company retreat at the InterContinental The Clement Monterey, please fill out a Request Reservations form. To contact a free personal reservations agent simply call 831-372-5000 who will find every detail you're looking for! 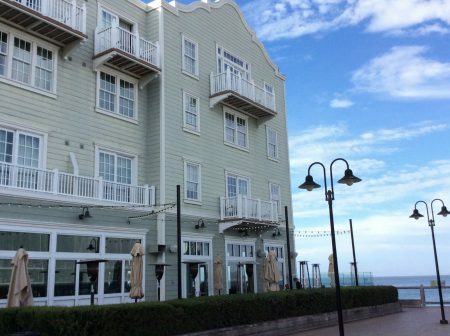 Directly on the water on Cannery Row, Monterey, CA 93940, next door to The Monterey Bay Aquarium, this perfect location is among delicious steak and seafood restaurants and countless shops. Rooms and suites at the InterContinental The Clement Monterey are luxurious, featuring marble bathrooms with soaking tubs and walk-in showers, aromatherapy products, mini-bars, fireplaces, balconies, and breathtaking ocean views. Look no further than the InterContinental The Clement Monterey for the exact stay you wanted.